Lots of route setters use rolls of colored cloth tape to map out routes on a climbing wall. Different colors for different routes and the ability to quickly change a route. 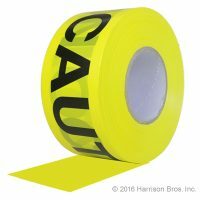 There is another tape that should be part of every route setters tool kit. That tape is barricade tape, commonly known as caution tape, since the most common variety has CAUTION printed right on the tape. 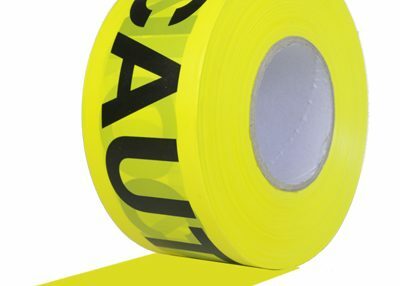 This is non-adhesive tape and is used to mark off areas under working setters so that no one will wander into an area where a tool or bolt might fall might fall. This tape can be stretched among traffic-style cones that define the unsafe area.